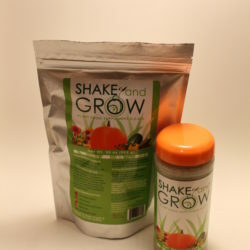 For the extreme Gardener the Shake and Grow 40 lb. 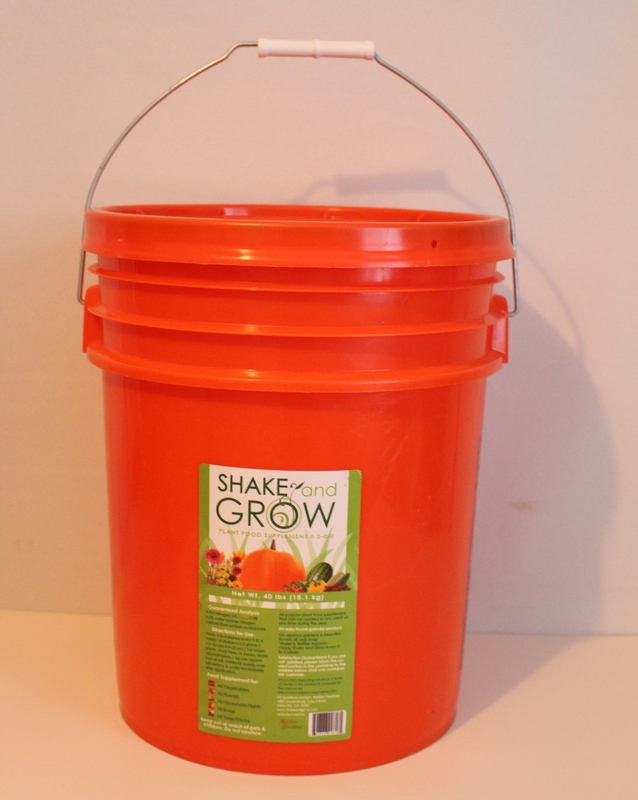 bucket is for the serious grower or competitive growers! 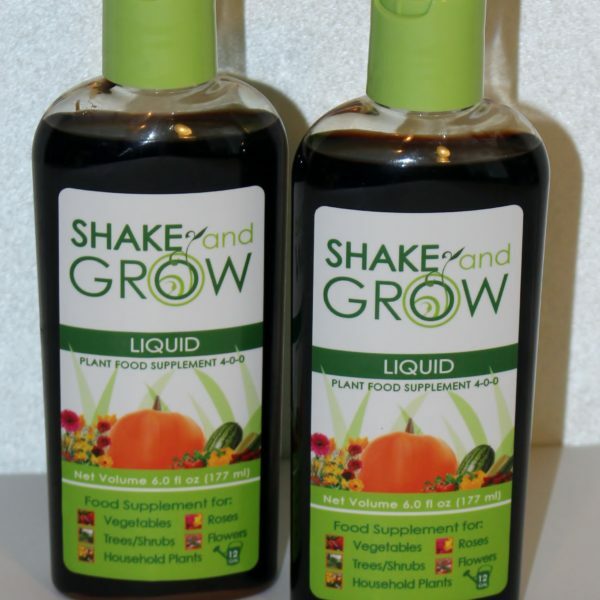 “The Product of Champions” Shake and Grow can be used on all types of plants including flowers, vegetables, trees, shrubs, grasses, roses, palms, indoor plants, tropical plants, cactus and succulents and giant pumpkins. Apply 4 to 6 shakes every three to four weeks for most plants. Please check out the special instructions for the Atlantic Giant Pumpkins on the Pumpkin Growers page. 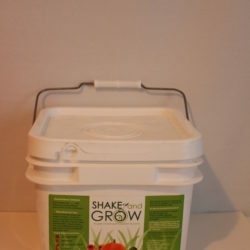 For the extreme Gardener the Shake and Grow 40 lb. bucket is for the serious grower or competitive growers! 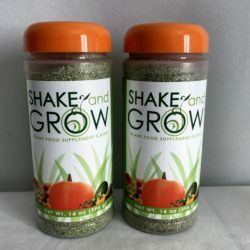 “The Product of Champions” Shake and Grow can be used on all types of plants including flowers, vegetables, trees, shrubs, grasses, roses, palms, indoor plants, tropical plants, cactus and succulents and giant pumpkins. Apply 4 to 6 shakes every three to four weeks for most plants. Shaker bottle (14oz) is included inside. Please return bucket to our location for refill and receive a discount off your next purchase. Please check out the special instructions for the Atlantic Giant Pumpkins on the Pumpkin Growers page.